Today, there are over one thousand businesses in Jasper. An abundance of opportunities can be attained in several national and international companies who employ hundreds or even thousands along with many small businesses that operate with only a few employees and offer a rewarding career as well. During a normal workday, the population of Jasper is said to double. 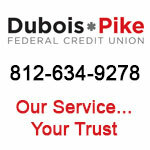 Employees travel from surrounding towns and the eight surrounding counties to work in Jasper, the hub of Dubois County. In fact, Dubois County continues to have among the lowest rates of unemployment in Indiana. Known as a “business-friendly” community, Jasper boasts a skilled and motivated workforce with a long reputation for its outstanding work ethic, dedication, and pride in craftsmanship. The city’s civic, government and business leaders have been applauded for their ability and willingness to work together. Jasper also features an excellent infrastructure to support a growing industrial base. Settled in the early 1800’s by German immigrants who were cabinetmakers and carpenters, they saw opportunity in the area’s abundant forests of oak and poplar. These woodworkers soon created a thriving wood furniture industry. The art of high-quality wood furniture and cabinetry was handed down through generations and perfected over the years. This proud tradition of craftsmanship remains strong. Today, Jasper is still known as the “Wood Office Furniture Capital of the World,” with its companies manufacturing office, home and lodging furniture, seating, desks, and kitchen cabinets. Several local furniture manufacturers, including Kimball International, Indiana Furniture, Jasper Group, Jasper Chair, OFS/Styline, MasterBrand and Ditto Sales/Versteel, ship their fine lines of furniture all over the world. Kimball International, Inc. is a Jasper-based manufacturer and marketer of commercial furnishings for the office and hospitality industries, sold under the Company’s family of brand names: Kimball Office, National Office Furniture, and Kimball Hospitality. Since its founding in 1950, Kimball has grown from a local company with less than 30 employees into an international organization with approximately 3,000 employees, 11 manufacturing facilities, and locations in 12 states. 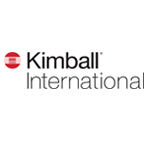 Kimball International is currently the 6th largest office furniture company and the largest U.S. supplier of guestroom furnishings to the hospitality industry. 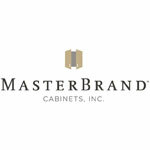 MasterBrand Cabinets, Jasper’s next largest employer, is the #1 cabinet manufacturer in North America. The skilled craftsmen at the Jasper, Ferdinand, and Huntingburg facilities produce beautiful Aristokraft and Decorá cabinetry. Jasper companies are not limited to wood. Other products manufactured in Jasper include electronic components for the automotive, medical, industrial and public safety industries, rubber products, high-performance and remanufactured engines and transmissions, industrial cutting tools, as well as metal and glass furniture. Jasper Engines & Transmissions is the nation’s leading remanufacturer of drivetrain components. The company employs over 1,000 associates locally with nationwide employment of over 2,700 through 43 branch locations, two distribution centers, and five company-owned remanufacturing facilities. Kimball Electronics offers complete product life cycle support for electronic manufacturing assemblies in the Medical, Industrial, Automotive, and Public Safety market segments. Our electronics design and electronic manufacturing services (EMS) core focus is vital in the creation of durable products that require high reliability. These products perform exceptionally well in even the most challenging environments. In addition, Jasper businesses include a number of regionally and nationally recognized companies involved in wholesale distribution of groceries and beverages, products for the home and garden, lawn mower and outdoor equipment – related products, after-market truck and auto parts, industrial supplies and even the headquarters of one of the Midwest’s largest restaurant franchises. Local businesses and industry also benefit from a wide variety of specialty and consulting services available right here in the community such as accounting and law firms, advertising and marketing communications agencies, real estate, information technology consulting and design services, architecture and construction specialists, and temporary staffing services. Ten miles south of Jasper is the Huntingburg Regional Airport, one of the finest general aviation airports in the state of Indiana. Numerous banking and financial institutions serve Jasper area residents and businesses including Farm Credit – Mid-America, Fifth Third Bank, Freedom Bank, German American, Hoosier Hills Credit Union, Old National, Dubois-Pike Federal Credit Union, and Springs Valley Bank & Trust. Retail businesses thrive in Jasper, the primary shopping destination for the surrounding region, serving over 150,000 area residents. Major national department stores along with a mix of other retail stores comprise five shopping areas: Germantown, Jasper Manor, Northridge and Southgate Shopping Centers, and Downtown Jasper. A strong entrepreneurial spirit fosters a growing number of unique specialty shops around town. Business and industry have been the bedrock of Jasper’s quality of life. Apart from the obvious economic benefits of the tax base, local businesses are well-known and regarded for generously investing back into the community. Whether it’s raising funds for state-of-the-art equipment for the hospital, supporting the high school academic or sports teams, or funding appearances by theatrical or musical productions, Jasper’s businesses recognize the value of being good corporate citizens. This kind of involvement allows Jasper to enjoy a number of benefits not usually found in a city of its size.